Kearney School District (KSD) has announced the new head coaches for Bulldog volleyball and golf. Pete Smart will be the head coach for volleyball, and Zach Boswell will lead the golf team. Smart’s experience in and passion for volleyball extends over several decades. As an All-American player, youth club and high school volleyball coach and a devoted advocate for the sport, Smart’s knowledge and skill set are a wonderful match for the Bulldog team. Smart began playing volleyball in high school. As a senior, he played on the USA Volleyball Adult Regional AA Championship team. He went on to play for Graceland College (now Graceland University) for four years helping the team win a National Association of Intercollegiate Athletics (NAIA) Championship, and he earned All-American honors. Smart coached club-level volleyball for 15 years and was the head coach of the Kearney High School team from 2004-2012. During his time as head coach of the Bulldogs he lead the team to four conference championships and one district championship. Smart will begin his role as the KHS volleyball coach at the beginning of the 2019-2020 school year. He replaces Megan Laws who recently resigned from the position after being a part of the coaching staff for seven years. Boswell’s extensive and successful coaching background in the Kearney School District and passion for the game of golf has lead to his new role as the head coach of the girls golf team. 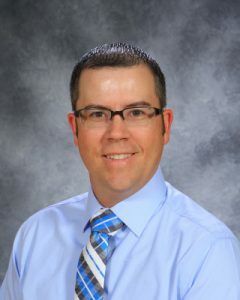 Boswell started his teaching and coaching career in 2006 when he accepted the roles of Kearney Middle School (KMS) social studies teacher and KMS and junior high school boys basketball coach. Throughout his time with the district Boswell has been a part of developing several successful athletic programs. As an assistant coach of the varsity girls basketball team from 2012-2018, Boswell helped lead teams to six consecutive conference titles, two district titles, two elite eight appearances, one final four appearance, and finally, third place at the state competition in 2018. Boswell is also the head coach of the varsity girls track and field team. Boswell has been a part of the girls and boys coaching staff for 11 years and has served as the head coach for the girls for the past four years. As the head girls track coach, Boswell has lead teams to three consecutive conference championships, four consecutive district championships and had fifth and seventh place finishes at state. Boswell began playing golf as a young child and continued to follow and play the game through his high school and adult years. Now, with 25 years of golfing experience, he will begin his first opportunity to coach the sport. 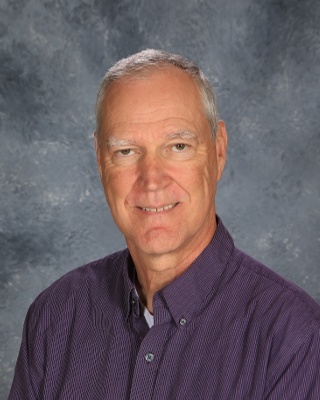 Boswell will begin his new role as head coach of the KHS girls golf team at the beginning of the 2019-2020 school year. He is replacing Tim Marshall who recently resigned from the position after being a part of the coaching staff for five years.